For many, the fact that the missing booksellers surfaced in China confirms the worst suspicions about the Chinese government’s role in their disappearance. 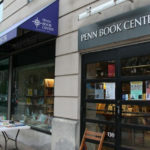 The bookstore that the five helped run had a relationship with an anti-government publishing house, fact that raises serious censorship concerns. The incident also has serious geopolitical consequences, because Hong Kong is supposed to enjoy autonomy from mainland China – autonomy that would be seriously threatened it if were to be proven that any of the five were abducted on Hong Kong soil. Lee Bo’s disappearance has drawn particular interest in this regard, as he was last seen in Hong Kong and seems to have left suddenly, without his travel permit.